Q. Where can I find Camouflage dresses for sale? A. Following given are the details and links of sources where you can buy camo dresses such as formal camo wedding dresses, camo dresses for bridal party, prom gowns as well as casual camo dresses. 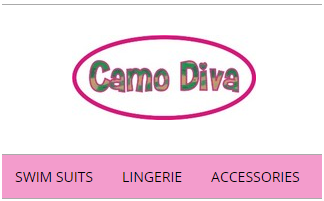 At www.camodivas.com, you will get many formal and casual Mossy Oak hunting camouflage dresses. You can find some dresses for wedding, prom or for some other events. Most of the camo dresses you will find here are full camo, but you will also find few white with camo accents if you are interested. Here at www.camoformal.com, you will see a good selection of camouflage dresses for various formal occasions. You can get camo wedding dresses, homecoming gowns, bridesmaid dressesetc. If you are interested in getting a custom made camo dress for formal occasions, you can try at www.atouchofcamo.com. You will find camouflage weddingdress, prom dress, bridesmaid dresses, camo gowns etc. At www.ebay.com, you get a very good selection of camo dresses available for auction or immediate sale. You will get some good deals. If you feel that you will wear the dress only once and don’t want to spend much, then you can buy one usedcamo here. You will find good quality Mossy Oak, True Timber and other camo fabrics at www.snydercreek.comif you want to get custom made camouflage dress done for wedding, prom, bridal party etc. If are interested in some light weight fabrics such as Taffeta, nylon etc.for camouflage dress fabrics for making camo dress on your own, you can get it at www.rockywoods.com. You get a unique collection of camouflage prom dress that you won’t find anywhere else at www.promgirl.net. You can buy Short dress in military style camouflage at www.dailylook.com. If you want knee-length camo skirts that can match with a top and gives you a camo dress like look, then you can get it at www.soldiercity.com. You can buy hunting camo Mossy Oak directly from the camo dress makers company at store.mossyoak.com. If you are looking for Camouflage dresses for little girls, infant to toddler, then www.thecamoshop.com is the right choice. You will get a decent selection of used or handmade camouflage ladies dresses military camo and hunting camo at www.etsy.com. 1 Q. Where can I find Camouflage dresses for sale?